Negotiators from developing countries say that the US and the other developed countries are trying build a parallel process to the United Nations Framework Convention on Climate Change (UNFCCC). In what seemed to be an apparent breach of protocol, the US want to remove the distinction between the developed and developing countries by taking the Paris climate treaty outside the purview of the UNFCCC. In a meeting during the Paris Conference, US insisted that the preamble of the new treaty should say that the treaty should be mutually supportive of the convention instead of pursuit of the principals and provisions of the convention. While this change may look like a minor change, negotiators attending the conference say that this could become a completely new process. Removing this distinction could mean two things. The yardstick to measure report and verify emission reduction targets would be the same for developed and developing countries. The principals of common but differentiated responsibilities and equity which are the bedrock the convention could be put aside which it cannot do if the treaty is signed under the convention. There have been attempts by developed countries to make some of the emerging economies part of the $100 billion climate fund. 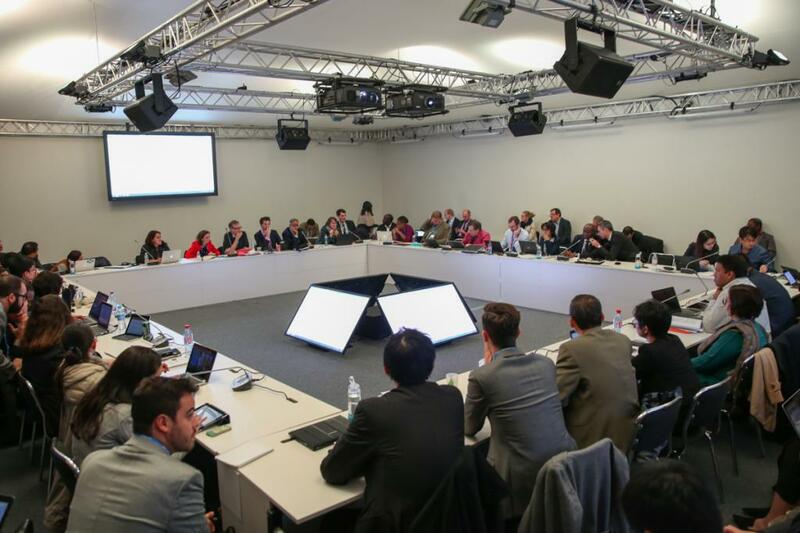 In one of the finance meetings on December 1, a proposal by the Umbrella group (comprising of Japan, Austalia, Norway, Canada) put in a finance proposal that called all countries to contribute to the climate fund, which is a clear departure from the commitment made by the developed countries in Copenhagen six year ago to be sole provider of finance. With breaking away from convention this differentiation will not be applicable. There have been earlier attempts to break this differentiation. A proposal by Russia during this climate change conference wanted to amend article 4 of the convention which upholds this differentiation. G77 +China has opposed this US proposal, as an developing country negotiator said, this could become the major fight in the conference in coming days to come.